The state of mobile adoption in the manufacturing sector – especially in core manufacturing and shop floor environments – has been low when compared to other sectors as many manufacturing organization typically take a cautious approach to technology investment. 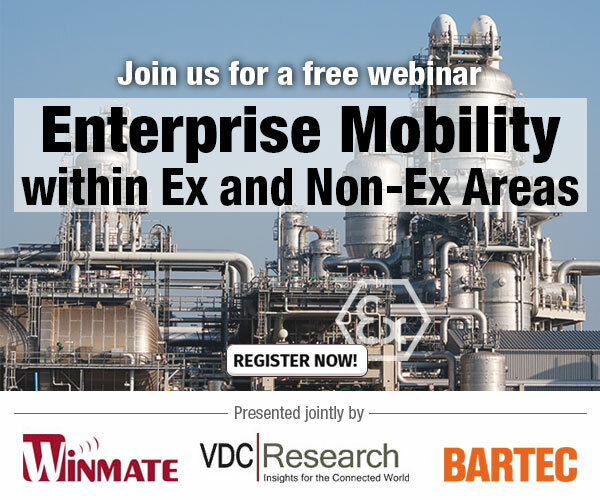 Among the most significant barriers holding back adoption has been the general lack of wireless infrastructure in manufacturing environments in addition to concerns regarding wireless security. This is set to change with the number of mobile connections within global factories expected to almost double by 2017. Manufacturing organizations are just beginning to figure out how to best leverage mobile solutions. One rapidly emerging segment of the market is the use of mobile solutions in hazardous environments. With significant advances in mobile technologies, traditional cost and functionality barriers preventing organizations from leveraging mobile solutions in these environments are being overcome.